A pen yields great power. It welcomes a newborn on their birth certificate, signs bonding agreements, writes masterpieces, communicates love, and transforms minds. Once ink touches paper, it cannot be erased; only the paper can be discarded, the ink remains. In a time of typed sentiments and agreements, putting ink to paper feels all the more intentional, whether it’s a scribbled grocery list or a love letter. And while the pen is considered disposable to many, not only is this consideration wasteful, there is a missed opportunity for experiencing something better. 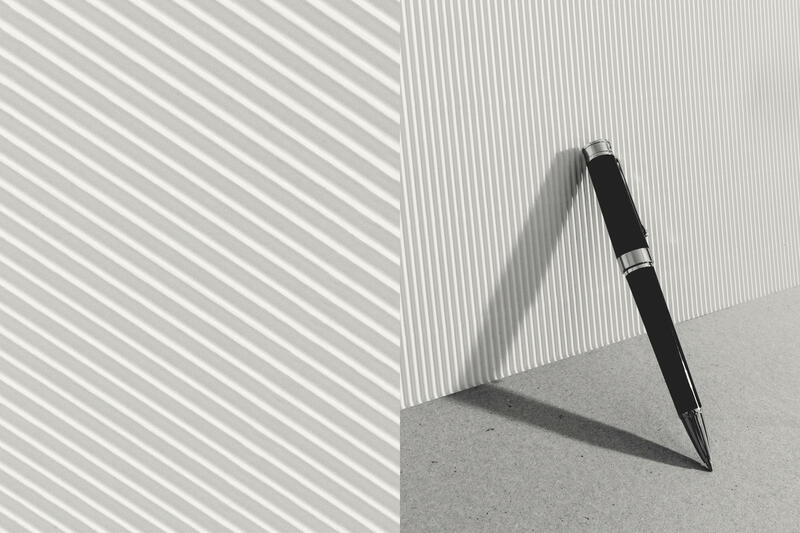 Capturing your thoughtful prose (hell, those groceries lists, even) is that much better with the mastery of a Montegrappa pen. 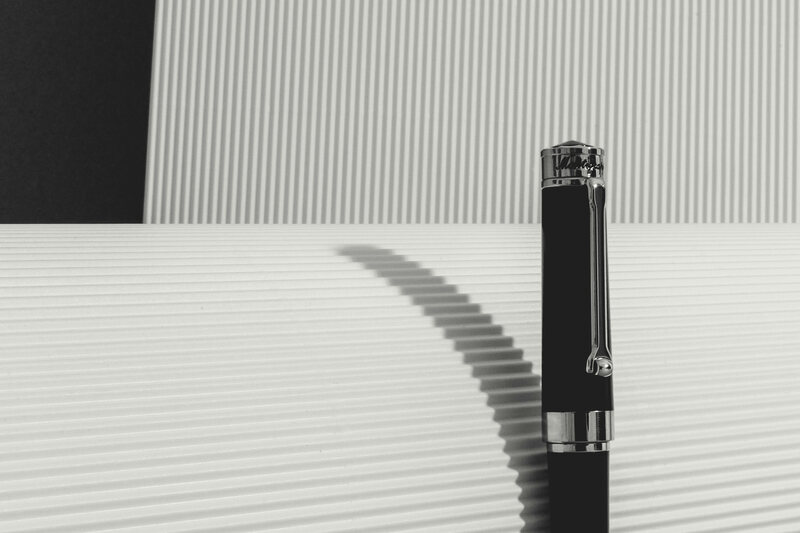 Since 1912, Montegrappa pens have inked the iconic works of Hemingway, signed the transfer of power from Yeltsin to Putin, and in many cases, sat untouched (yet admired) on a collector’s shelf. There’s something inherently special about a Montegrappa pen, a fortitude of beauty and intelligent function honed and crafted at their factory in Bassano del Grappa, Italy (one of the few factories in Europe to not be transformed to a weapons factory during World War II). A single pen may have over 100 individual components, but no matter how simple or elaborate it may appear, these writing instruments exemplify Italian craftsmanship. 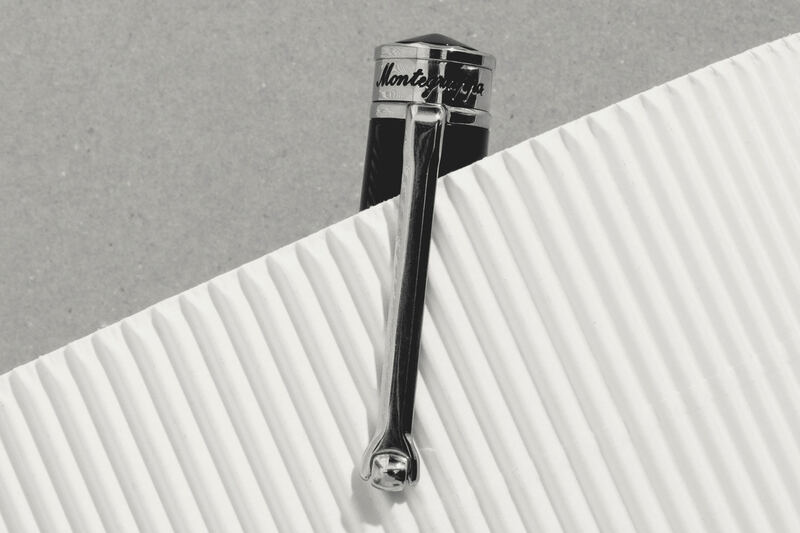 Each component of a Montegrappa pen is designed, crafted, and manufactured by teams of skilled artisans. Some use magnifying glasses and hand carving tools to create intricate designs, while others operate large Montegrappa-commissioned machinery to mold, melt, and process the materials and components. All are finished by hand and packaged with care. In this case, the essential pen. The sharp black resin is visually separated by the stainless steel trim on the cap and tip, a perfect balance between the two materials. The angles and points down the pen are thoughtfully executed, portraying a sleek masculinity, complemented by the elegant “Montegrappa” script etched at the top of the cap. Perhaps most importantly, the ink glides across the page like silk. The added beauty is the (relatively) reasonable price tag. Compared to some Montegrappa pens (custom orders can reach into six figures) the Parola is downright affordable at around $100. It’s an iconic style that offers the chance to own a Montegrappa without spending an exorbitant amount of money. The smooth feel and solid weight of the pen affirms its value. This is not an object to display in a case, it is a pen to write your next letter, make your next list, and sit boldly on your desk awaiting to communicate your next idea. Though you shouldn’t withhold writing special words if you don’t have a special pen, having the right one certainly helps. This is that pen. If you’ve ever scrawled out a thank you card with a crappy Bic and thought, “I should have a nice pen for this”, then look no further. Handmade in Italy.